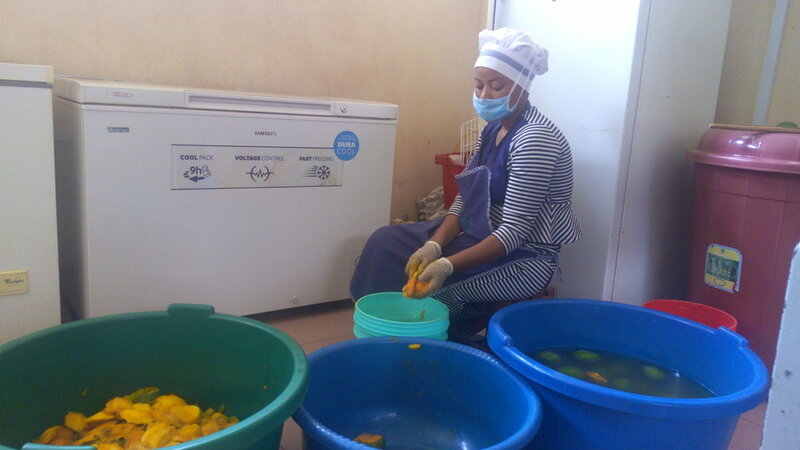 Meet an entrepreneur, Veronica Kavishe at Sokoine University Graduate Entrepreneurs Cooperative (SUGECO) who is making fresh juice and supplying it in Morogoro. This 35 years old woman and a mother of three children, she started working in a small industry as laborer in making juice. She worked over seven months and later on, the owner decided to close its door. This is when she visited SUGECO in 2016 looking for support. SUGECO supported her with a small room which has all facilities for making juice such as free electricity, blenders, freezers, etc. She started with a small capital of 20,000tsh and now the capital has risen up to 500,000 tsh. She started making 30 litres and now she is making over 150 litres per day. She is selling in both wholesale and retail price whereby people who buy in wholesale are supplying to their restaurants in Morogoro. Other consumers of her juice are SUGECO staffs, people around the area, along with Sokoine University of Agriculture (SUA) staffs and students. ‘‘Apart from making juice with different fruits varieties like mangoes, watermelon, avocado, flavored with ginger and passion, I received training on how to make an Orange Fleshed Sweet Potato (OFSP) juice by the SUGECO nutritionist officer, Miss Jolenta Joseph’’. With the help from SUGECO she has now successfully made a living from selling fresh juice. She has been able to send her children to school, to provide basic needs for her family, to do farming, to pay for house rent and to buy a small plot for building her own house using the money she is saving from selling juice. On top of all that, she has been able to employ two young girls who are supporting her with different activities. Her working area is small, but SUGECO has exciting plans to expand the room and increase facilities in order to incubate more youth.